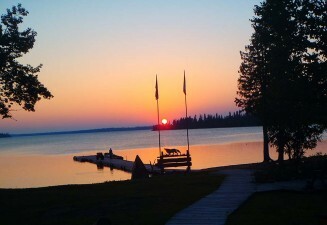 Fly-in to Timberwolf Lodge on beautiful Nagagami Lake , northwest of Hornepayne, in the heart of Ontario’s Algoma Country. 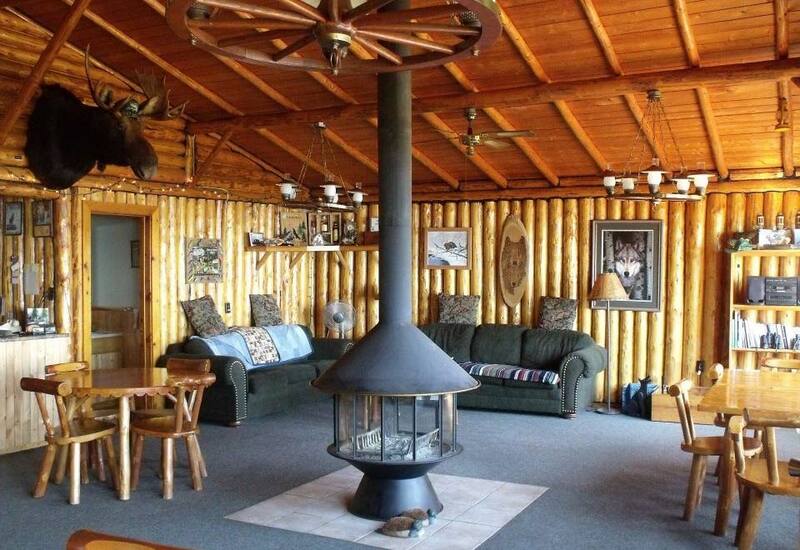 Our deluxe American Plan Lodge, designed to hold only 16 people, allows us to provide guests with unsurpassed service and hospitality , in a quiet , relaxing atmosphere. 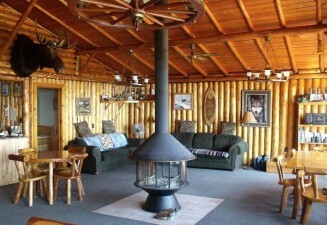 The private lodge rooms offer the amenities and comfort unique for the remote location. 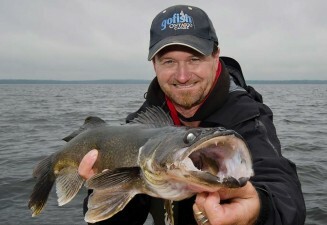 Fish 13,000 acre Nagagami Lake , the best structure lake in the region, for huge Walleye, Northern Pike, Whitefish and Perch. 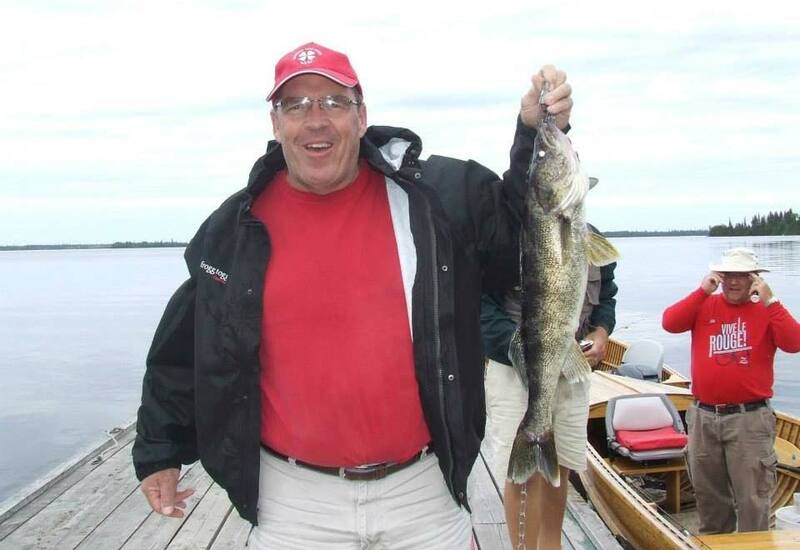 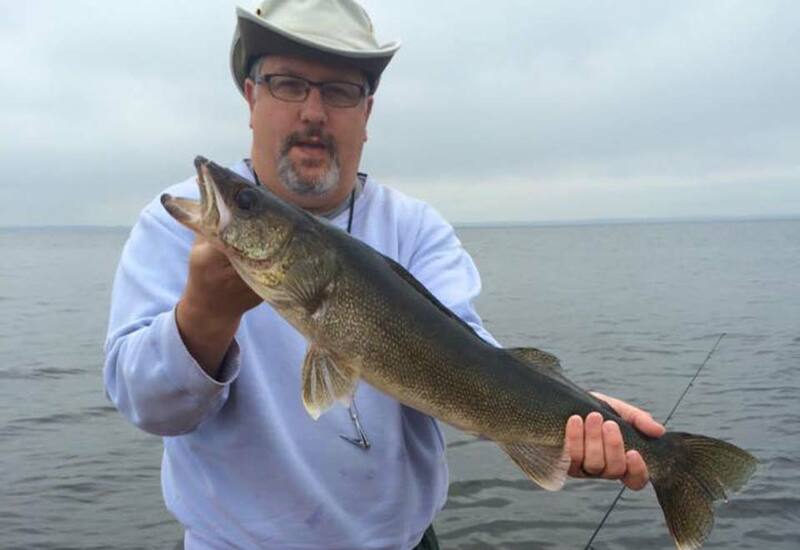 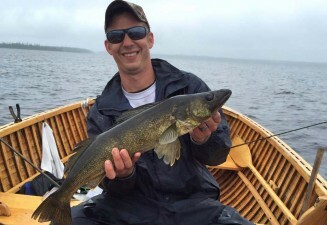 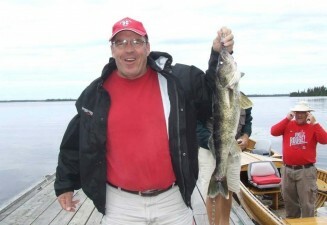 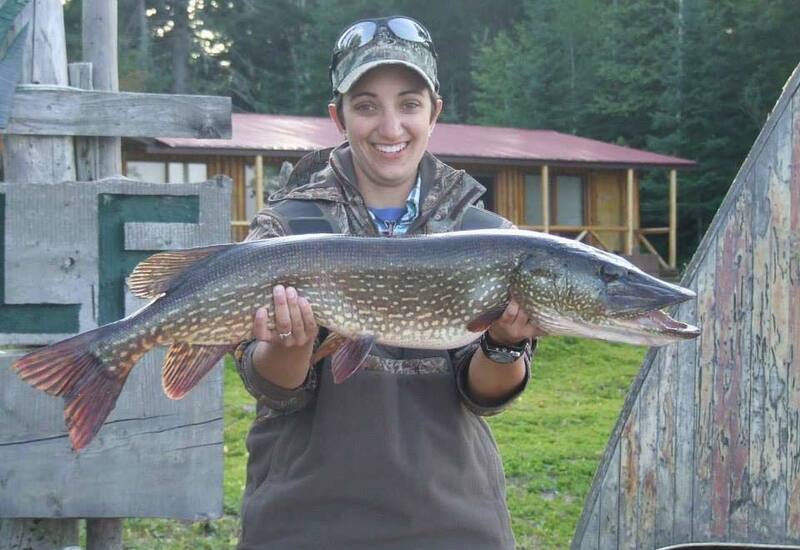 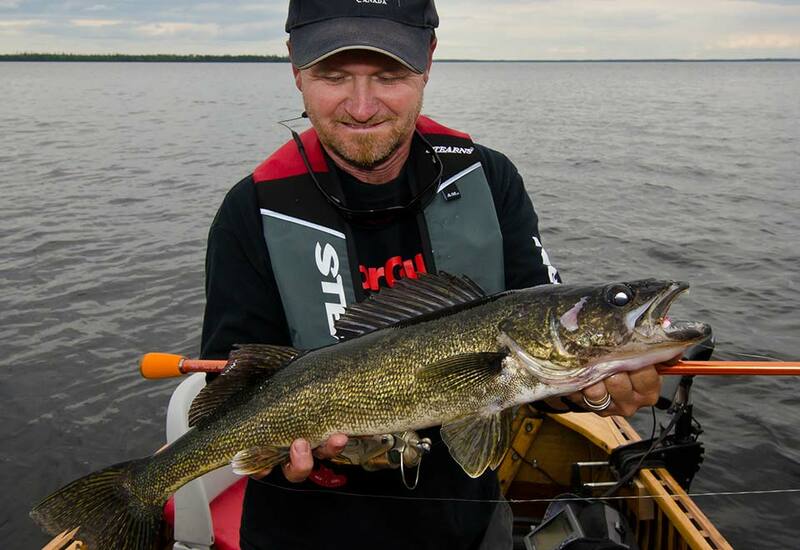 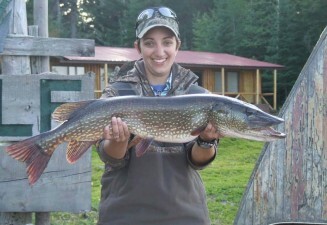 With traditional spinning gear or the fly rod , the lake always produces quality fish. 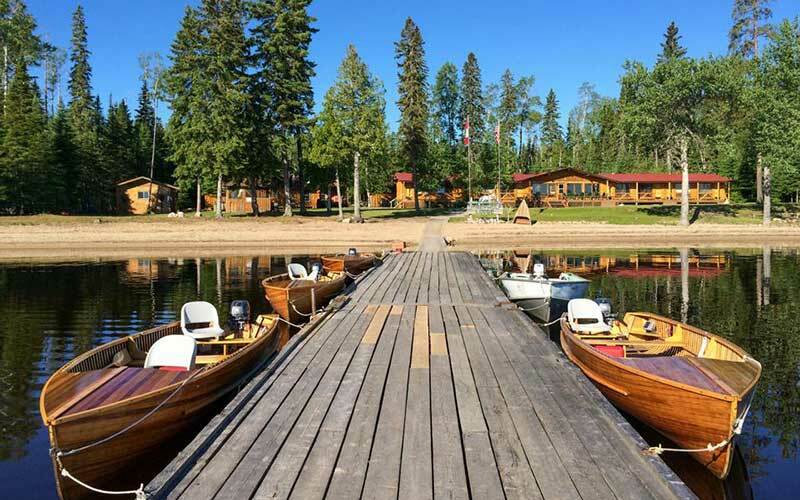 Our safe, sturdy 18′ cedar strip boats, outfitted with depth finders, cushioned seats and reliable 15 hp motors, enhance the fantastic fishing. Delicious home cooked meals, comfortable accommodations, dock service, fish cleaning and our constant attention to detail are all designed to ensure our guests receive an amazing ‘ Timberwolf ‘ wilderness experience.